First of all, yes I'm Australian, and yes I am using a kangaroo to type this up. If you take a look at Australia, it's a pretty sad place geographically. Very flat, very dry, mostly desert and for the majority of it, mostly poor, arid land that isn't farmable or inhabitable. Now, the root cause of all of this, is the huge lack of water in the center (if you look at the coastal regions, they have relatively lush landscapes). There is next to no water, EVER in the middle of Australia, due to the lack of natural rivers and the unfortunate positioning of Australia geographically. However, what if we dug a canal ourselves? Ignoring the social uproar of Indigenous peoples and other environmental and cultural preservation groups, huge canals could be dug, North to South, East to West - going through the center. These would connect to the ocean, where water would come flowing in, into the middle of Australia. The canal would be wide enough to allow for large quantities of evaporation, which would allow clouds to form locally and create rain. This would bring about fresh water to the areas close to the canal, and in return not only loosen up the soil, allow for plants to begin growing, cool down the area and allow for human habitation. Local species shouldn't be affected too much, since there would still be some desert left, and the species living inside the deserts are rather rare anyway (compared to normal, tropical areas ). In the center, there could be an extra large pool of water that would serve as a new hub for living and work, in the center of Australia which would reduce some stress off the rest of Australian land, as the large pool of water would create a larger area of rainfall. Not only would this create a large economic and social hub in the center of Australia, using it instead of it just being wasted land, it would also create usable land ALL along the canal. This allows for sustainable Australian development into the future as we have far more usable land. Is this possible? What could be some potential problems? Rubbish / Crap / Protesters filling up the river - A big grate over the top to stop stuff from getting in. HEY! You can't irrigate with SALT water!! - See water will EVAPORATE with the power of the sun, meaning that it will condensate and then fall back down as fresh water in the form of rain, thus being usable. Large rain collectors can be used to capture this for a more constant water supply. The River will need to be SUPER WIDE! - Now this one, idk, however i assume that just a Km or 2 will be sufficient. The Canal will need to be SUPER DEEP! - Now this one I'm even less sure than the previous one, as we are trying to evaporate, I do not see the reason why it needs to be super deep. The Canal will ruin the water table with salt! - A concrete barrier will be placed between the canal and the ground, which also ensures less slit gets in there. ITS SO EXPENSIVE! - It will pay for itself as it will create a huge new economic hub that otherwise would've been wasted. The huge investment would also mean a colossal improvement in the economy and Australia will be better in the international light. You may notice, that despite this 'canal' being up to 350 km wide, it doesn't actually bring a lot of rain to anywhere near it. In fact, having sailed through it at times, I can confidently inform you that in the summer, the Red Sea is the worst place on Earth; unbearably hot and unbearably humid. So no, a canal will not help central Australia. 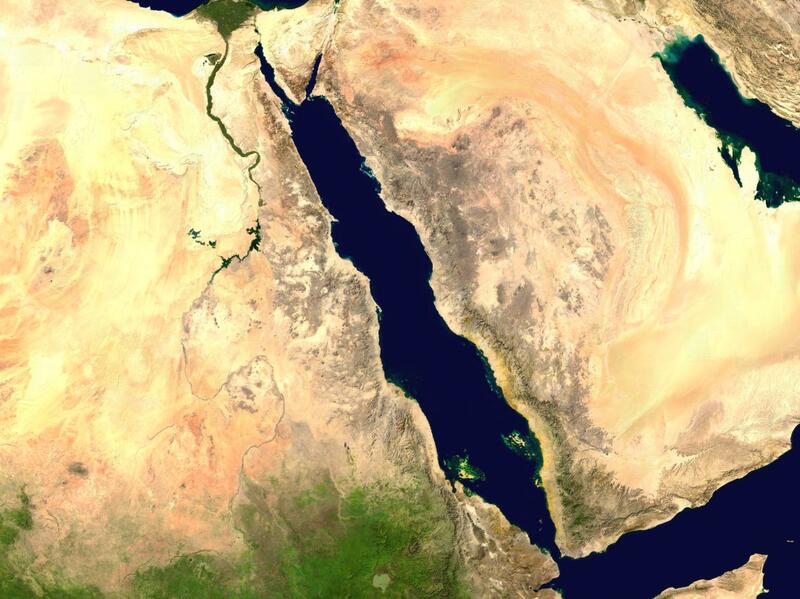 Edit: Regarding salt, the north part of the Red Sea is at 4.1% total dissolved salts, compared to 3.5% in the Earth's regular oceans. So your canal would be a little saltier than the ocean, but not much. I think you need a mountain range, rather than a canal, to cause more Australian rainfall. If memory serves, Australia lacks enough high mountains to induce precipitation of already-present moisture in the air. Instead of a canal, you'll probably get much more rainfall by creating a few mountain ranges perpendicular to the prevailing winds. I had previously pondered this for your home continent, in a story arc with some strange magic. Building mountain ranges without magic is just too ! @#$% difficult, alas! They were thinking about doing this in Florida during the 60's. So much so to the hiring of people and buying up farmland....and then...someone asked a question. What about the water table? Florida is basically a sponge of limestone under the golf courses and palm trees. If you cut across the middle, all the water leaks out in the ocean. Everything south of Orlando would become a desert because all the wells would go salty. What few fresh water sources there were would be used up very quickly and they would have to start shipping in water. Very expensive, very troublesome and they decided against it. The same thing might happen in Australia. Your desert would not bloom, it would get worse. The first and biggest hurdles you'd have to cross is that you would need to excavate to below sea-level along the whole length of the cuttings... over the desert that's mostly between 300m and 600m deep... you would be removing many thousand cubic kilometres of rock. Reckoning on rock being more than a tonne per cubic metre, you are talking about gigatons per cubic kilometre, petatons of rock to move. That's far beyond current technology. A cutting half a kilometre deep with steep sides won't have much evaporation... whatever direction the wind blew from it would be unlikely to affect the bottom of the canyons you'd be making. So you'd need to make the cuttings slope-sided and many kilometers wide, making the volume of rock to move even bigger. Mind you, the spoil heaps you'd make would create some spectacular 'mountain' ranges and induce significant rain. The global warming induced by burning that much fossil fuel may change the climate to the point that your plans get superseded by changes to the environment anyway. Depends if you are a climate-change believer or climate change denier. Actually, the effect of the dust you'd probably release from the workings on the atmosphere would be pretty drastic. How much dust did Krakatoa throw into the atmosphere? That was only a few cubic kilometres of explosion, you are suggesting thousands of times as much rock moving. If you didn't dig canals to below sea-level you'd need to pump water continuously up-hill for ever. Huge pumps, and you'd end up with the middle of Australia covered in salt-pans within a few years. Bore a huge tunnel at sea level across the short length of the continent. This would be difficult and expensive but is conceivable. At places, dig down to the tunnel. Note that we have much deeper pit mines, so this is also expensive but conceivable. Use mirrors to reflect the sun down into the hole. Build a seawater greenhouse at the bottom. This does two things. First, it provides fresh water. Second, it provides food year round. Note that you'll need a bunch of these to have any impact. Build photovoltaics outside to create electricity to pump the fresh water out of the hole. Back up with wind mills and above ground storage (when there is power, pump up fresh water; it can be used normally from storage when there is not power). This plan might not immediately turn the interior desert into one giant oasis, but it provides immediate benefit in terms of placing people inside the desert. You don't have to open up the entire "canal" at once. You can dig the hole first and then connect the hole up to the ocean (or to the next hole) with a tunnel. Over time, you can build enough tunnels to cut through the continent. And over time, you can build more and more holes so that more of the tunnel is open to the sky. The biggest problem that I see with your original proposal is that it basically says to first dig a trench that may be six hundred meters deep and a kilometer wide at the bottom (more at the top). That's an incredibly huge project that offers no benefit until it's finished. This avoids that by digging a tunnel instead. The tunnel can be narrower in the beginning and made wider over time. It allows for incremental changes. Also, the mirrors allow for much steeper sides. One of the largest problems though will be to keep the tunnel open. The channel will likely need to be cleared of silt regularly. Fortunately this doesn't have to be done continuously, so it can be solar/wind powered. That would mean more silt clearers though (the less it runs, the more clearing that needs to be done when it does run). This proposal might eventually lead to your wide trench, but it has benefits far before that. As many people pointed out, the issue isn't a canal, but rather getting the water to condense and fall as rain where and when you want. Just pumping water around on the surface isn't going to do more than raise the average humidity, which will be annoying for people trying to live there, but not actually providing enough moisture for agriculture or urban living. So what you need is something to raise the evaporated moisture high enough into the atmosphere where it will condense out into clouds and rain. Many people have mentioned a mountain range, but building a mountain range is perhaps somewhat outside of the budget for the project. 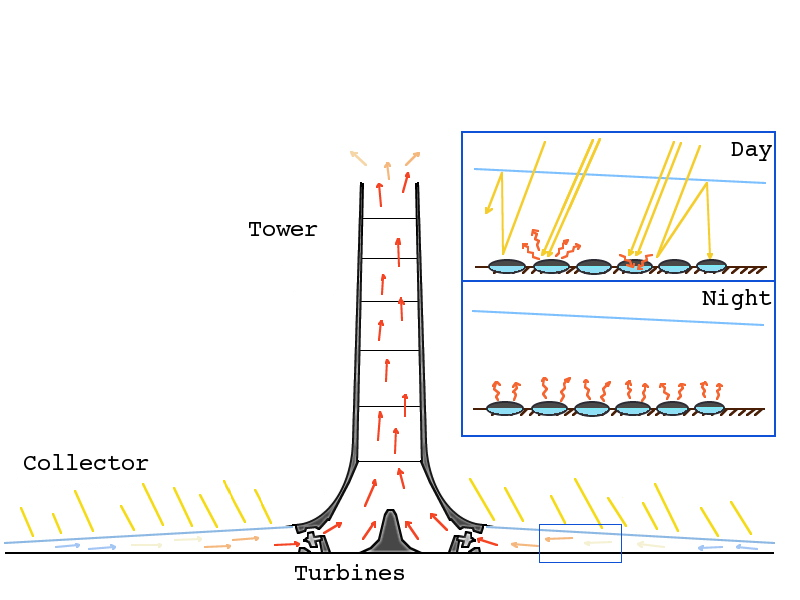 Instead, why not place Solar Updraft Towers in the paths of the prevailing winds? The towers can be built on the coast, and the vast updrafts created by solar heating of the tower draw moist air in the base and eject it at high altitude, with the tower being up to 1000m tall and the stream of warm, moist air possibly rising even higher. As the towers are built, the amount of moisture being ejected into the upper atmosphere increases, with the potential for gradually increasing rainfall. The towers are built along the coast, but in the paths of the prevailing winds in order to allow the moist air to travel inland, possibly condensing and raining out in the Australian interior. The major advantage of this plan is it can be done modularly, so adjusted to increase or decrease precipitation. The other benefit is there should be salable vegetables and electrical energy, to help the scheme become self financing. There was a study out of New York some years ago that looked at using solar power to desalinate seawater along the coast of Australia (and the Sahara). With the water available, forests would be planted, which would take up carbon dioxide and also bring more rain downwind. If done carefully, digging canals would theoretically enable extending the desalination and forestation into the center of the continent. I actually looked at this some years back after some recent Queensland floods. The general pattern is that we have some floods in Queensland and some months later Lake Eyre fills up with water and massive amounts of life seemingly comes out of nowhere - its normally a salt lake. There is a whole collection of rivers that are almost but not quite connected up that lead all the way in from Arnhem Land and the Gulf of Carpentaria into central Australia. When we get a heavy rain they connect up and life returns to the desert. So I was wondering at the time why not run a public works project to redirect some of the annual wet season water that normally flows into the Gulf and direct it South down existing river systems by interconnecting them at the nearest points. If you are bored you can spend an interesting afternoon running your own hypothetical civil engineering project by following all those dry rivers north and working out where you would need to build a cutting to bring wet season water south. Last I looked at it - it was feasible. Not small but not impossible either. Big kudos if you can convince someone to fund it. Ever noticed Lake Eyre? The channel country in QLD drains into it during the wet seasons. 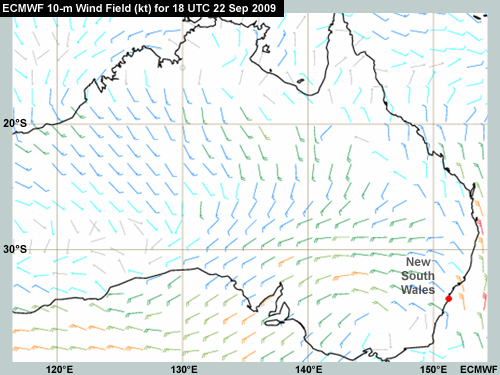 Then it all flows down south between SA & Vic. When Lake Eyre is full of water it turns into an amazing paradise. The trick would be to get rain to fall more consistently in the channel country. The cattle farmers would be grateful for the consistency as well. A quick glance (and some very basic knowledge of how rainfall works) would indicate that you need both water "and" mountains to hold in that moist air. I.m.o. the most topographically obvious place to dig a canal and end in a lake would be from Denial Bay (approx. -32.095936, 133.647133) up to the middle of the Simpson Desert somewhere right of Birdsville (approx. -26.002004, 137.867470) you could basically keep the mountains to your left and end in the driest area of the desert. Next you would need mountains. I would extend the already existing mountain range from Ikara-Flinders National Park (approx. -30.966680, 138.831585) up to Birdsville (-30.966680, 138.831585), mostly following the Birdsville track. This way you would avoid digging through already existing large bodies of water, and have that water add to the total. This should keep the moist air in. I actually think someone with actual knowledge of the subject matter could do a far better theoretical job than me, so please feel free 1-up me. Rivers dissolve salt as they pass over the land. This ends up in the sea. As a result lakes that do not flow to the sea are salty. Take for example the River Jordan, forming the border between Israel and Jordan. The Jordan flows through the sea of Galilee, which is fresh water, and ends up in the Dead sea. All the salt carried by the river ends up in the Dead Sea, which as a result is as salty as it can possibly be (the excess salt ends up precipitating out as solid.) In general, the salinity of a lake depends on the relationship of outflow to inflow. For example if a lake loses 80% of its inflow by evaporation and only 20% by outflow, it will be 5 times saltier than the rivers that feed it. Increased human water use on the River Jordan is causing serious environmental issues at the Dead sea, whose depth is receding at about a metre a year. Separate rojects running over Jordanian and Israeli territories been proposed reverse this, by bringing water from the sea, as Dead Sea lies below sea level. The former proposal has been elevated to "planned" on Wikipedia so seems the closest to implementation. It involves pumping water uphill from the red sea, which would then flow by gravity to the dead sea, where at least some (possibly all, wikipedia is not clear) of the pumping energy would be recovered by a hydroelectric station. The latter project, from the Mediterranean sea is still listed as "proposed." It is a shorter route over higher ground, so would require the construction of a tunnel, but there would be no pumping station, just a hydroelectric power station at the Dead Sea end. Central Australia has many salt flats, which are essentially lakes that have become completely filled with salt, as they do not flow out to the sea. One of them is the aptly named Lake Disappointment, discovered by explorers who believed that if they followed a river they had found downstream they would eventually reach the sea. Lake Eyre (elevation -15m below sea level) is 300km from the sea at Port Augusta. Much of the distance is along the bed of Lake Torrens (elevation +30m). Both of these "lakes" are rarely filled with water. The Lake Torrens bed was brackish 35000 years ago which is very a very short time on a geological scale. In order to reduce the salinity of the area, a canal could be dug from Lake Torrens allowing it to drain either into the sea or Lake Eyre. However as Lake Torrens is rarely flooded (the last time was 1989) it is only a partial answer. To provide an economic reason, I suggest digging a canal from Port Augusta to Lake Torrens, and a tunnel from Lake Torrens to Lake Eyre. This would comprise a pumping station lifting seawater into Lake Torrens, and a hydroelectric station releasing water into lake Eyre. The canal could be navigable, enabling salt to be mined and exported. Flooding of Lake Eyre might have some effect on rainfall in the area, but only if the installation was massive. Over a period of decades, probably centuries, Lake Eyre would fill with seawater (to be clear, a lake with no outflow will always be salty) but the Lake Torrens basin, draining into Lake Eyre via the tunnel (or perhaps backwashing to the sea via a suitable arrangement) would become less and less salty. Flooding Lake Eyre would lead to an increase in the local water table, which might make retaining some water in the rivers that feed it (via damming etc) more practical. On the downside, the character of both lakes would be changed, and depending on your opinion not necessarily for the better. The proposal of flooding Lake Eyre (and its effect on rainfall )is mentioned briefly in the wikipedia article on the lake but it has thus far been considered impractical. I think a series of up draft solar towers with double chambers in the canopy so the underneath of the canopy can be utilised as veg. farms using vertical automated system - a enclosed greenhouse style, as well as livestock farms etc, so the nutrients poor soil does not need to be used. Perhaps later on when there is sufficient amount of organic matter generated by human activity eg. farm and human waste, this can be added to the soil which then can be used for growing food. To avoid potential contamination of the water table, an underground canal/tunnel, the size of a medium sized river could be dug. Underground, so it can stay at sea level ( resp. below ) to avoid using pumps and also to prevent evaporation, resp. utilise evaporation inside the tunnel to capture drinking water. This would be required to be periodically cleaned of sediments utilising automation,the sediments could be used in building industry etc. The towers would be connected with this underground ocean salty "river" . They would generate power for farming as well as cooling the giant greenhouse. The towers would also act as a desalination plants. The process has been explained above. There would be minimal effect on the outside environment as this would be fully enclosed system, eventually becoming self sufficient and sustainable using organic waste to produce food and number of other products. Each of this towers would become a small city bringing employment. This idea would not make the arid deserts of Australia green, or at least not for some decades, but it would utilise land that is wasted. The arid areas of Australia are among the oldest and untouched. The ecosystems are extremely complex. Just because much of it is extremely dry (entisols), doesn't mean that it isn't fertile. The fact that Australia is so ancient is one reason it would be best left alone and untouched. The soil on the surface of Australia is similar in age to the soils at the bottom of the Grand Canyon, just as Australia's mountains existed before the tallest of mountains in the Himalayas began to even form. In the northwest of NSW there is a large irrigation area, where a river, the Murrumbidgee, has water diverted primarily to grow rice. This was instigated back in the 1950's and has been successful for decades. BUT, what has occurred is that by flooding thousands of acres of previously arid country the natural water table has been lifted and this has forced all of the underlying salts to the surface. With natural rainfall from above, when the land become wet vegetation would grow, but because the salt has been driven up with the rising water table nothing can grow in the salt prone areas. So although the irrigation does have a short term benefit, the long term destruction is massive. 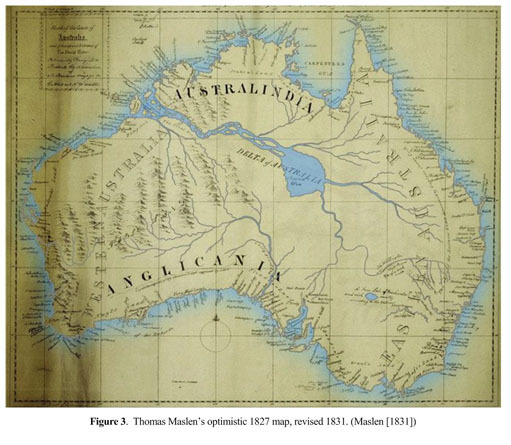 As others have mentioned, Australia is a very, very old land mass and nature has been working on the land much longer than man has been walking its surface. For man to now come along and 'improve' on what nature has designed is madness. Sure there may well be some short term benefits but in the long run nature will always win. Man is still trying to combat the salt problem within the region but the reality is that it is and always will be a losing battle. An interesting read for you would be to research the Aral Sea disaster and attempts to mitigate, as well as the Salton Sea creation/dissolution. No easy solutions (no pun intended). Looks like a two pronged approach to the problem is what is needed here: mountains and water. Below is what Australia looked like in 1827, before the British came along and filled in the Great River, undoubtedly with all the rock and soil from the ten mountain ranges that once spread through Western Australia. Phase I of the Reconstruction Project will involve building a number of extra-broad gauge (10ft / 3m) temporary railways the MegaTrains of which will be used to transport rock and soil back to the mountains. Railway construction should take approximately 50 years to complete. Phase II will begin once the MegaTrain lines to Range No. 1 are complete. A dredging programme wherein we shall utilise our patented MegaDiggers will commence, wherein we shall simply dig up all the dirt and rubble the Brits threw into the Great River. Once piled into the MegaTrain waggons, MegaDiggers and MegaConveyors will be used to build up the ancient mountains again! Estimates for Phase Ii range between 20 and fifty years per range. Therefore, by mid-milennium, the original Western Australian Mountains shall have been restored and the Great River and Inland Sea shall have been properly dredged. Phase III will involve uncovering and reactivating the ancient water sources of the Eastern Australian Mountains that the British so thoughtfully destroyed. Phase IV will involve allowing the water to flow from Eastern Australia to Western Australia; while simultaneously breaking the remaining earth dam at the western end of the Great River. MegaGeoCorp planetary engineers have determined that within ten years, all the waterways should be functioning as they once did. Phase V will mark the transition from Terraforming to Ecoforming: as the actual courses of the rivers and the shape of the sea settle down, MegaGeoCorp's part in the future history of Australia will wind down. It will fall to future Australians to make appropriate plans for land use and installation of future infrastructure, settlements, farms and so forth. Not the answer you're looking for? Browse other questions tagged climate geography water-bodies or ask your own question. How to remove water from a planet during terraforming? How would it be possible to have a world of mostly jungle? Could you import enough water into an ecosystem to make a new rainforest?